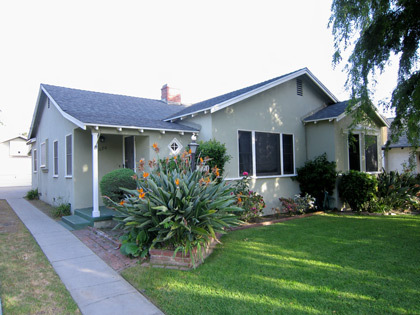 Preserve Burbank offers a free listing service for real estate agents to post historic Burbank homes for sale on its website. You can post a short historical and architectural description of your Burbank property along with a photo and property website which will assist to better inform the potential buyer of your historic property. What is an historic or architecturally significant property? Typically the property is 50 years or older. It can be any architectural style that has not been significantly altered or has the potential to be restored to its original architecture. Email us at info@preserveburbank.com and provide a photo of your historic property (600 x 800 dpi or larger) along with a brief description and the link to your property virtual tour and/or website. You will be whisked away to an enchanted quiet retreat when you open the split door entry to the private courtyard of this lovely home. Inside, a warm friendly living room awaits with hardwood floors and brick fireplace. Formal dining room, also with hardwood, has built-in china cabinets. Oak cabinets in kitchen. Large Master has beamed ceilings and adjacent sliders to back patio. Lovely patio in beautiful, private backyard. 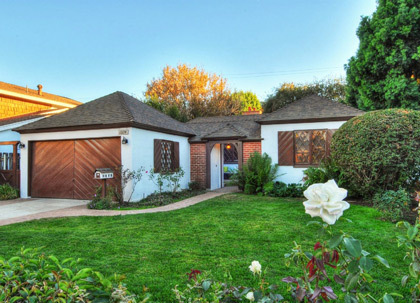 All this, south of Riverside Drive, on one of the most beautiful streets in the exclusive Burbank Rancho neighborhood. Convenient access to all local amenities. SOLD. Originally built in 1924. 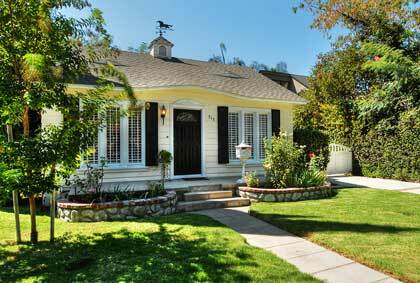 Burbank Rancho Equestrian home with darling curb appeal. The home has plenty of room inside with 3 Bedrooms, 2 Baths plus a large Family Room. Nicely sized Kitchen featuring an island, lovely maple cabinets and vintage O'Keefe & Merritt range. Wonderful flowing floor plan that's brought to life with oak hardwood floors throughout. Master Bedroom Suite has vaulted ceilings, French doors that open to the lovely backyard and romantic Master Bath. Updates include copper plumbing, electrical and fire sprinkler system. Separate laundry room with closets and wash sink. Plenty of parking available in the long driveway and detached 2-car garage. Bring your trailer, RV or boat! Great Stables with in-and-outs set in rear of the property. 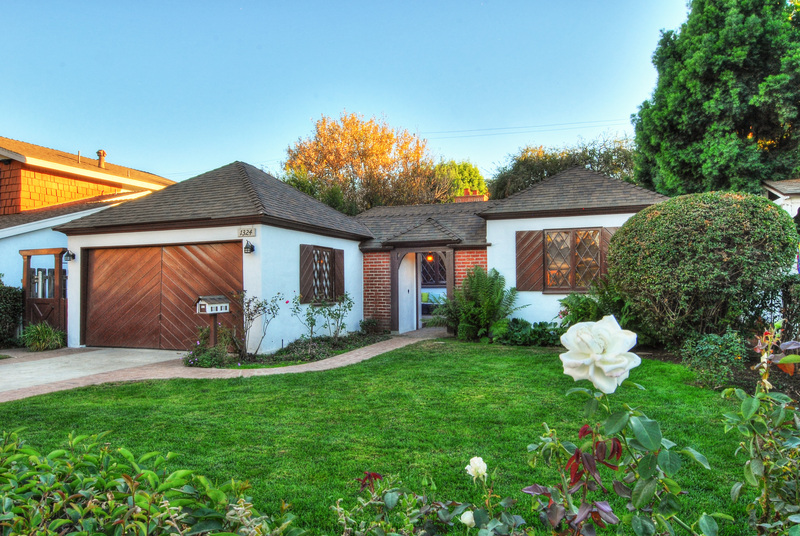 Conveniently located to The Equestrian Center, Griffith Park trails and all local amenities. SOLD. 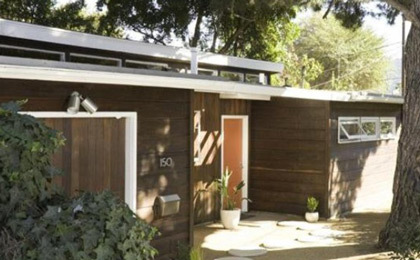 Mid-century at the end of a cul-de-sac in Media Center District, this private retreat is minutes away from city hotspots (Hollywood, Los Feliz, Silver Lake), recreational outposts (Griffith Park, Los Angeles Equestrian Center) and Studios (NBC, Warner Brothers, Disney). Pitched roof with clerestory windows and redwood cladding, high ceilings, polished concrete floors, built-ins and blue-veined glass mosaic bath tile. Asian-inspired landscaping anchored by two majestic pine trees and Japanese mock orange hedge. Welcome to 1070 E. Elmwood Ave… Offered for sale for the first time in over 60 years, this beautiful bungalow is much larger than it appears from the street. This home has been lovingly maintained, but a little updating will go a long way to bring this property up to contemporary standards, and at this price it will be worth the effort. Offered at $579,000. Pending Sale.